She has a Bachelor of Bachelor of Physiotherapy from the Rajiv Gandhi University, Bangalore. Has 10 years of experience and clinical experience in hospital settings from India (Bangalore) and Sri Lanka (Colombo, Kandy, Tangalle, Galle, Vavunia, Jaffna). Over the years she has provided physio for elderly people, people with sports injuries, persons with physical disabilities, children with special needs, fitness enthusiasts. She also worked as a guest lecturer for Physiotherapy at the University of Colombo and at University of Peradeniya, Sri Lanka. She has written articles for the english & tamil news papers & featured in TV programmes as well. She has a Bsc In Physiotherapy, Peradeniya University. Practiced in delivering cardio – respiratory physiotherapy and treating patients with musculoskeletal, neurological and paediatric conditions with appropriate treatment options and specific, patient’s condition-related exercises. She is certified dry needling specialist. He has an Msc In Advancing Physiotherapy Practice, Coventry University and possesses 2 years of experience in treating Musculoskeletal injuries in the UK. He is certified in Spinal Manipulation and Kinesio Taping. 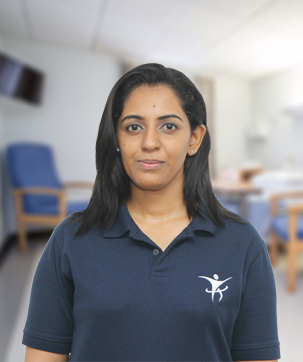 She practices Musculoskeletal, Cardio respiratory & Neurological rehabilitation Physiotherapy. 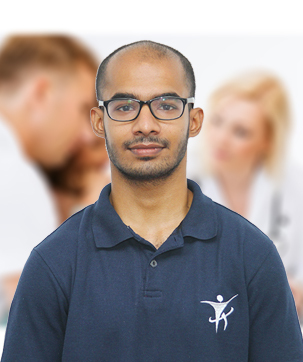 He practices Musculoskeletal & Neurological rehabilitation Physiotherapy. 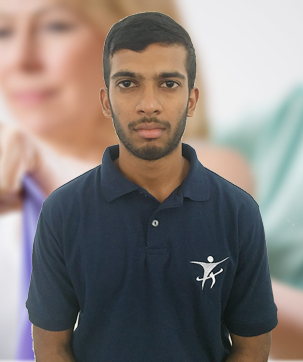 He practices Musculoskeletal & Neurological rehabilitation Physiotherapy whilst having 2 years of coaching experience as a basketball coach at the school level and also holds a Level 1 coaching Certificate from the National Sports Science Center. He also expert in fitness training.